This past Thursday we got a call from one of the girls’ friends saying she had lice. Ugh. I checked both girls’ hair and sure enough…nits. I’m in my late 30s and have never had to deal with lice before. I called my neighbor and she came right over! 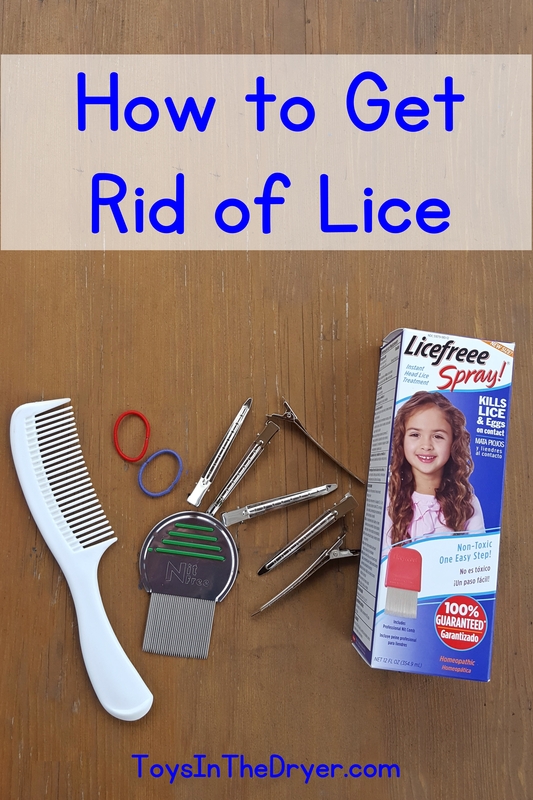 There are things I would have never known about how to get rid of lice so I thought I would share what I learned. Lice is harder to find than you might think. 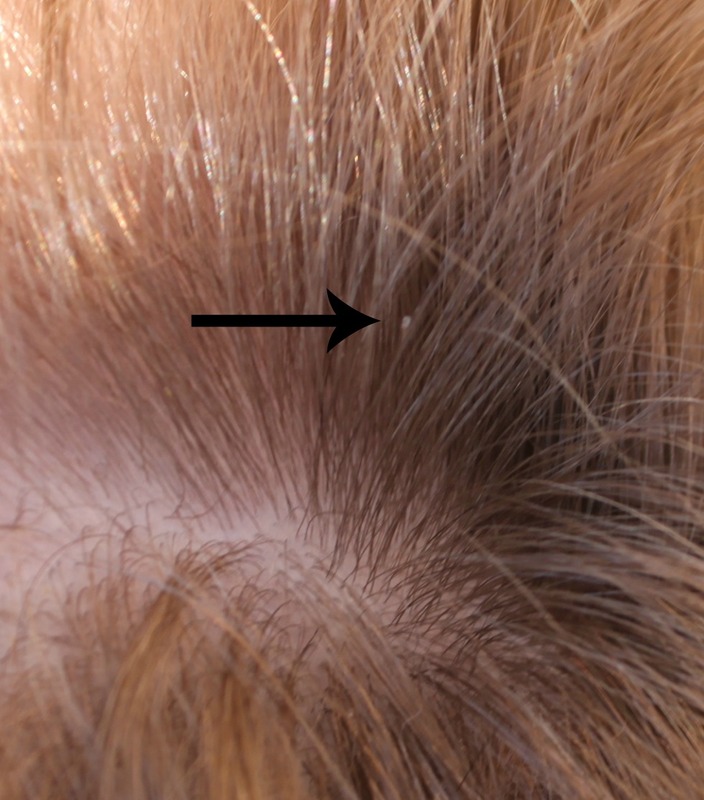 Google photos of lice in hair and you’ll get pictures of worst cases that are easy to spot. You’ll also get pictures where the nits and lice have been blown up to be easier to see. 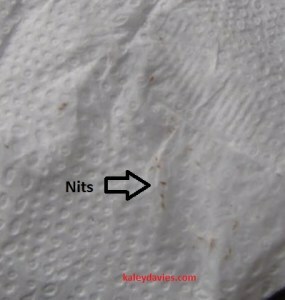 In reality, nits are super tiny and blend in with hair. Lice, are super quick at hiding and you may not find live lice with just a hair check. My girls’ hair looked like this…one nit every rare strand of hair. Most over-the-counter head lice treatments will work just fine. 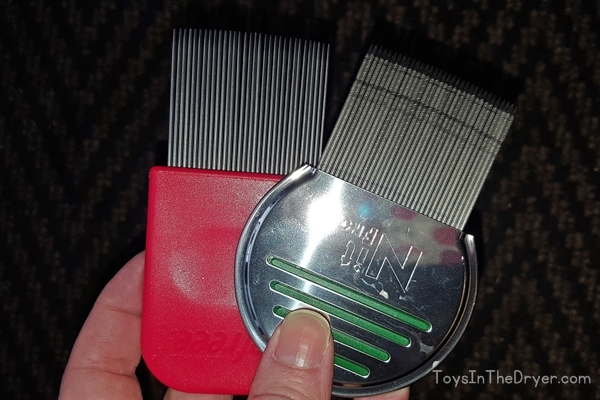 All kill lice and nits making them easier to remove. However, lice are becoming resistant to insecticide treatments such as the Rid® and Nix® treatments. Plus, who wants their kids exposed to insecticides anyway? After trying multiple products with her girls, my neighbor recommended Licefreee Spray. She said it was the easiest to use and it contains no harmful chemicals. The main ingredient is salt water which helps to dehydrate and kill the lice. Sure, the Licefreee Spray and other products come with “professional nit combs” but those combs are worthless. My neighbor’s Nit Free Terminator comb removed double the amount of nits and lice than the comb that came with the spray. The difference is definitely noticeable! On Amazon the comb is only $10. I had to pay $18 for it at a local salon because I needed it now. Plus, it was nearly impossible to find a salon that carried the Terminator combs. Treatment and combing aren’t the end. You must nit-pick. Nit-picking means you physically have to look through the hair small section by small section. When you find nits that weren’t removed by washing and combing (which you will), you need to pick them off the hair by sliding them down the hair shaft. Nit-picking is the most important step in getting rid of lice for good. It’s tedious, time consuming, and the worst part about having lice. It took over an hour to nit-pick through just one girls’ hair! You don’t have to go crazy cleaning. Lice can only live for 24 hours off of the human scalp (48 hours at the max, and that’s rare). Go ahead and wash all the bedding but that’s about all the cleaning you need to do. To be safe, it doesn’t hurt to bag stuffed animals that have been in the bed for 48 hours or put them in the dryer for 1/2 hour. There is no such thing as a one-time treatment. Unless you pay hundreds of dollars to go to a professional, expect to treat hair at least twice and to nit-pick for at least a week post treatment. You don’t want a re-infestation because you missed one nit! 95% of the time the first treatment will do the job and you’ll stop finding nits 1-2 days after treatment but it’s better to be safe than sorry! Make sure you have these things on hand in case lice show up at 8:30 pm like they did at our house! Just because your kids get lice doesn’t mean you will! Both of my girls had lice but hubby and I were lice free when our neighbor looked and continue to be lice free. Yipee! Again, though, we still check each other daily (at least for a week). I hope you found these tips and tricks on how to get rid of lice helpful. I know they were for me! This one actually sounds fantastic and I need to look into it. I am glad to know that over the counter head lice treatments can be reliable. It is also good to know that one should look for a solution that does not use harmful chemicals. My friend had lice and said that being persistent was the key. She combed her hair for a good amount of time each day and was happy to rid her lice in an efficient amount of time.